Seattle has been successful in ousting the 49ers from the playoffs two years in a row. THEY Effectively ended their season short of any additional threats later. They have a clear formula that other teams don’t have. 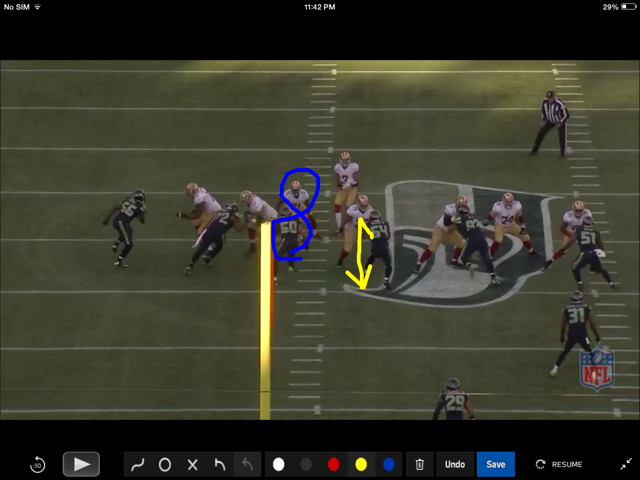 They make the Niners play a lot of one on one, man to man football. They have the horses and the desire to battle to the last to defeat the opponent, but even more important, to win. Below, you can see the pass protection and pass rush has begun. The battle for supremacy is in full bloom. Each player on both sides have a battle they must win. Wagner steps up to engage the center so he can’t free up to help one of the other lineman. The battle looks pretty even up until this point. In the next pic you can see the right tackle and running back for the Niners are in trouble. 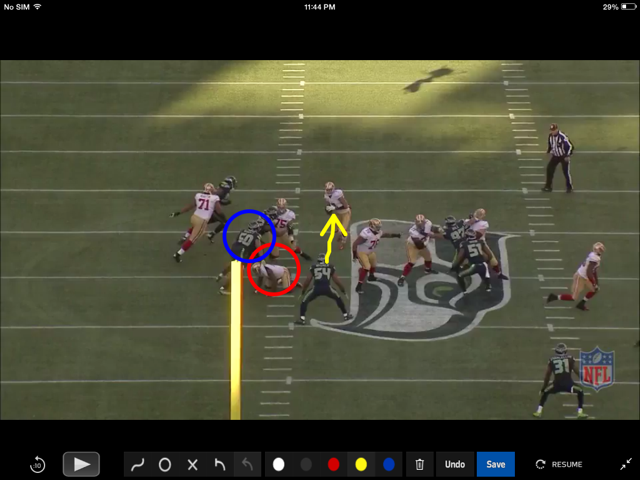 Kap is starting to feel the pressure coming around the edge so he is ready to step up and evade to his right. 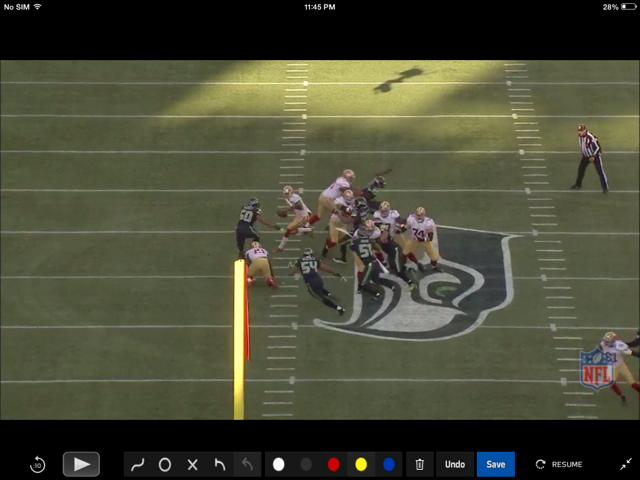 The other part of the picture shows Wagner being freed up to spy on Kap just in case he flushes to run, which is a killer to the defense. Kap has been flushed but he has not used his get out of jail free card. KJ has won his game within the game battle with the runner and has the QB in his sites, the other part of the plan is in action too. #54 (Wagner) who is the spy on the QB is firing his gun. The trap is set and the prey is cornered. 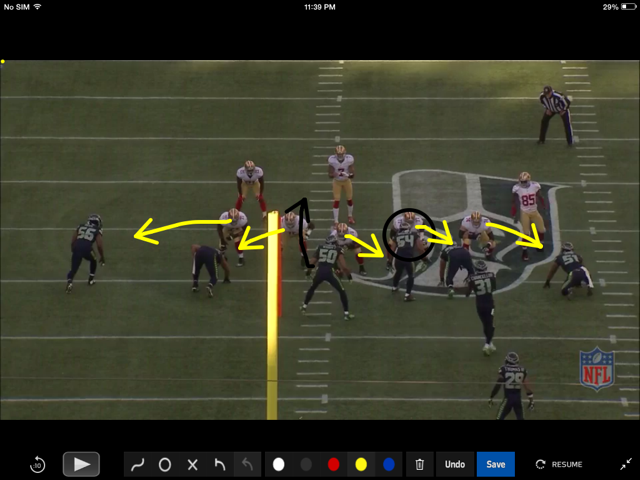 Two players won their one on one battles and the other played his assignment out to the T, so they win on this play, which ultimately led to a overall victory for the Seahawks. 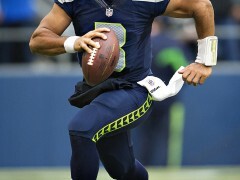 Beautiful discipline and winning one on one battles make the Seahawks a dangerous team especially as the season winds UP for the playoffs.